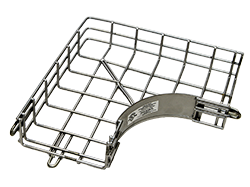 The following load and fill chart will assist with determining the amount of cable and weight each tray will safely hold. (50% fill ratio) APPROX. MAX.